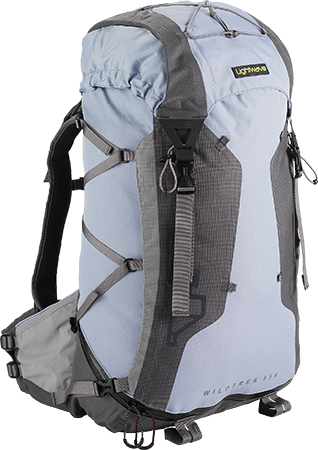 The Wildtrek is a comfortable, lightweight, mid-volume backpack that is ideal for 2–5 day backpacking trips. 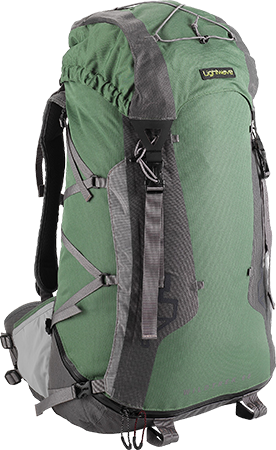 It is available in three models: the Wildtrek 55w designed specifically for women, and the standard Wildtrek 60 and Wildtrek 70. 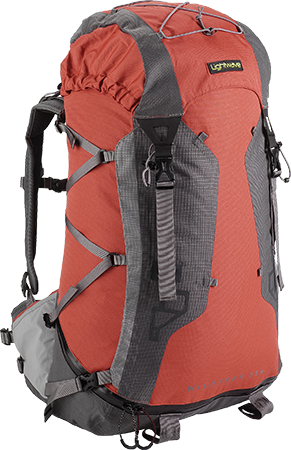 The Wildtrek rucksacks use full-framed back systems to give a very comfortable carry, yet weigh between just 1.40 and 1.55 kg, putting them at typically half a kilogram less than most other backpacks in their category. All the models have a fixed back length and each is available in two sizes. The main body features a unique water-resistant base compartment that is accessed from the outside by a discreet zip. When not in use, the lightweight nylon dividing panel sits flat on the bottom of the main rucksack compartment. 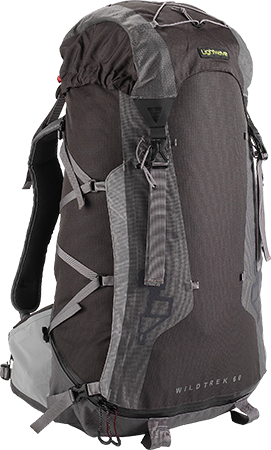 The Wildtrek rucksacks also have stretch mesh pockets on the hip fins that can be accessed while wearing the pack. The Wildtrek rucksacks have a fixed (i.e. non-adjustable) back length, available in two sizes per model. The size M2 fits people between 5’6” and 5’11” (167–180 cm), whereas the longer M3 size suits people between 5’11” and 6’4 (180–193 cm). The women’s sizes are W1 and W2, fitting women measuring between 5’0” and 5’5” (153–165 cm) and between 5’4” and 5’9” (162–175 cm) respectively. The top-tension straps at the top give some tolerance in the fit. People whose height falls into the overlap range will probably find that both sizes fit them. The size and breadth of the wearer’s chest and shoulders will also affect the sizing.